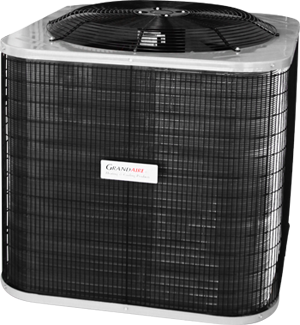 We can line you up with a great GrandAire A/C or Heat Pump, just give us a call. We keep a full line of Nordine (Miller / Intertherm) furnaces and accessories in stock. We also have replacement parts, floor vents, filters (including metal a-coil filters),Thermostats, relays, A-coils, line sets, etc..
We also carry a variety of GrandAire products and accessories.